so mikey came to town with a band he's in called knifey spoony and we succesfully had the first show at our new house. it turned from a 3 band show to a 5 band show and still worked out ok...no cops. we had a big groupgun before the last band, mauser from gainesville who were awesome and i'm psyched that we got to squeeze them in on the show last minute. 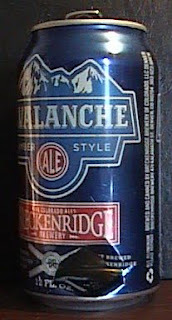 this avalanche stuff was tasty and i'm glad i got a 6 pack so i can enjoy some at a slower pace someday.